I love sharing my stories in libraries. When Blackpool Libraries asked me to be part of the Boundary Library reopening event I jumped at the chance. 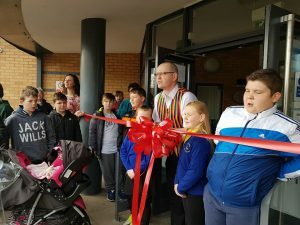 When they asked me to be the ‘special guest’ and deliver a speech and cut the ribbon, I was gobsmacked! @The Grange is a fab project based in one building involving lots of fantastic initiatives for the local community. Having spent lots of time in the local primary school and the library I have always felt like a part of the community. It was an honour to cut the ribbon and say a few words, despite feeling really nervous beforehand! 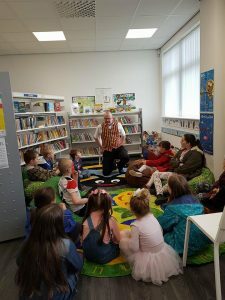 Once the formalities were over, I shared stories in the fab new children’s area of the library. A top morning!